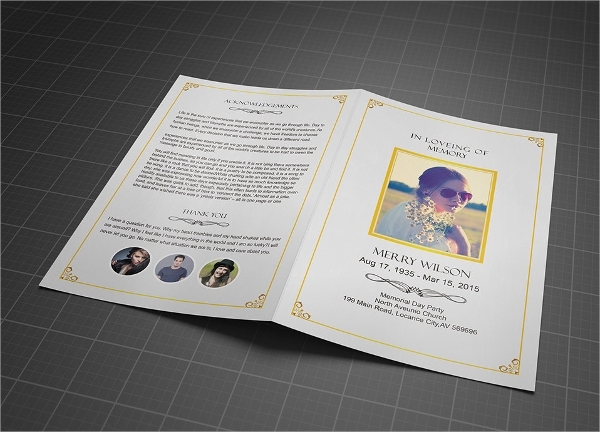 If you are arranging a memorial for a friend, family, relative or colleague who has deceased, then you will definitely print or distribute the death obituary. 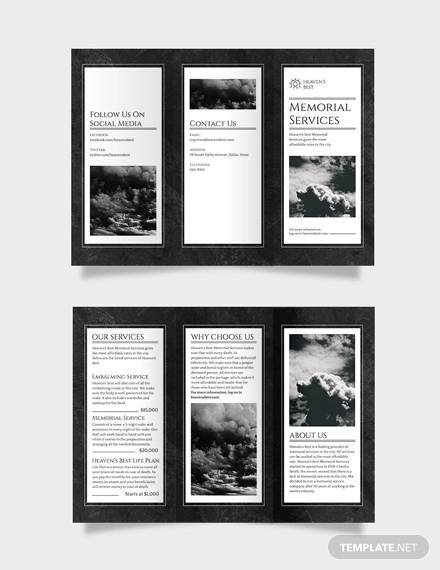 But parallelly you may also print memorial brochures for the person. 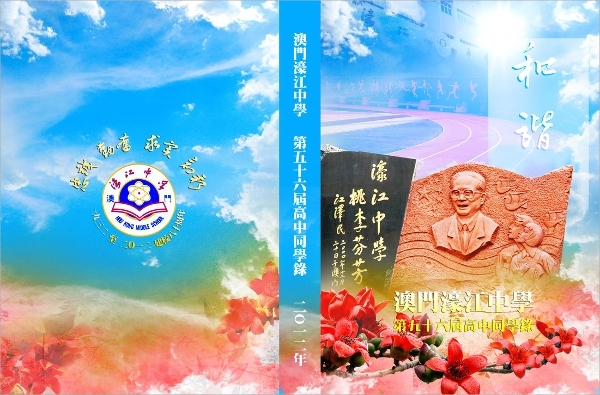 The brochure in the name of the person will give you the ground to express the memories, the good words, the grief etc all about the person whom the near and dear ones are all missing. 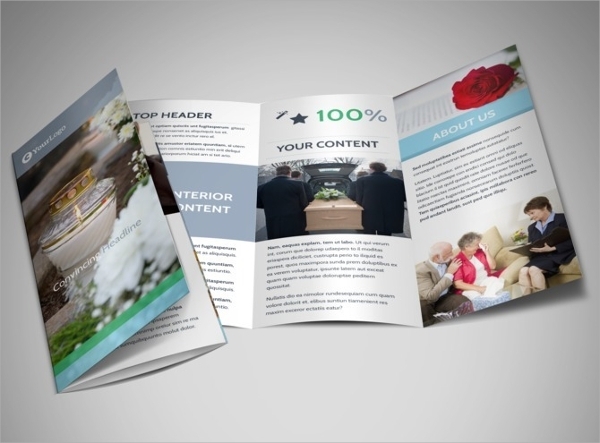 To do this here is a collection of some excellent brochure templates. In times of need, this will come very useful to give you some creative format for developing the brochures in a very less time. 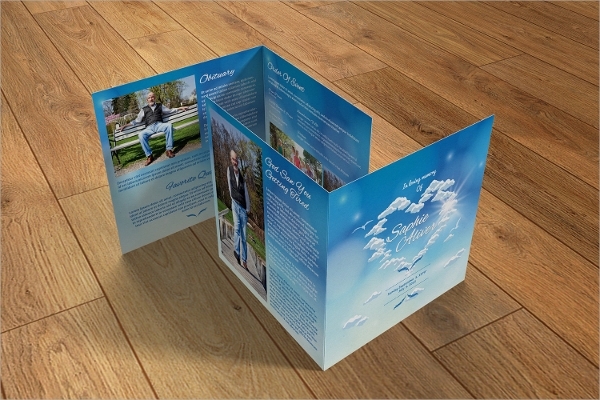 You can also see Promotional Brochures. 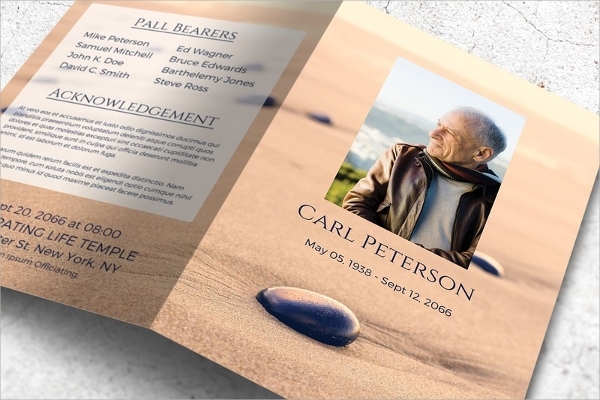 This 2 fold wide and big brochure template has a lot of space inside to accommodate much information about the person in small text, and the outer pages can accommodate design and image, with some vital details. 11.25×8.75 is the dimension, and 300 dpi is the print resolution. 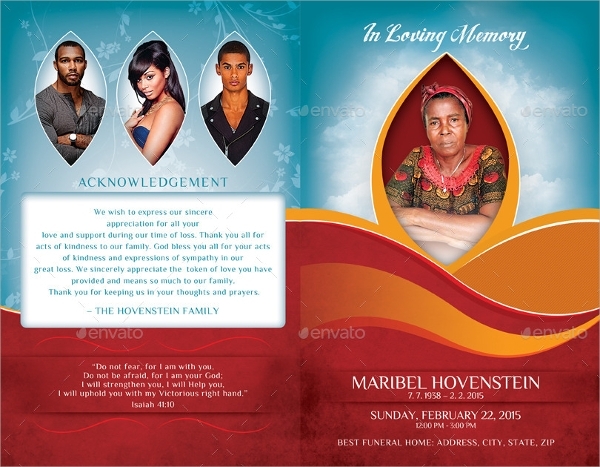 This is an amazing design with sober greetings card type look. 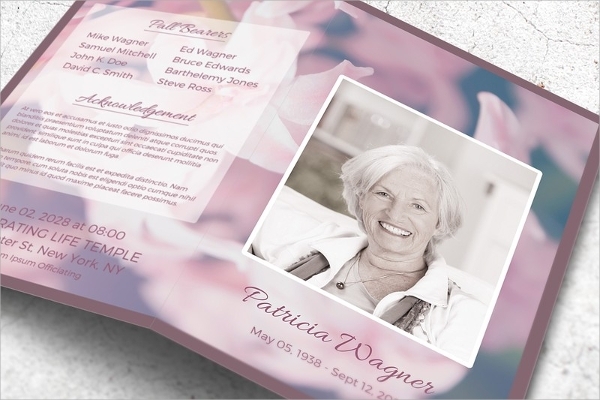 The flower petal background in light pink is a subtle one and highlights the picture of the person in the front square space. Add name and acknowledgment at the back of the template with important details to complete the template customization, and this will look great. 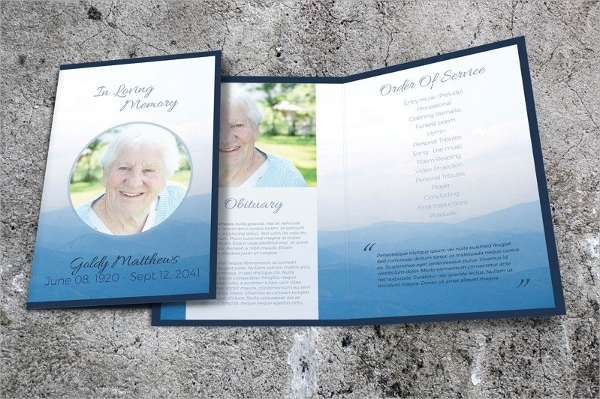 This funeral brochure design is a smart one with sober yellow occur color and the big square picture holder space on the front in the 2 fold template. Even the internal 2 pages can hold one picture and much of text. 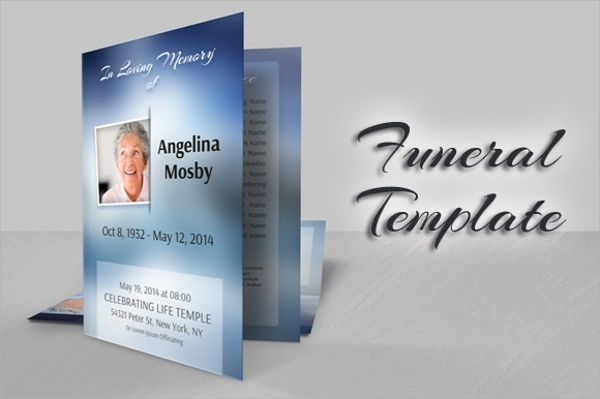 Designed in light blue with a light gradient of blue over it, the template looks very cool and nice, and you can add a nice picture on top of the 2 fold brochure. 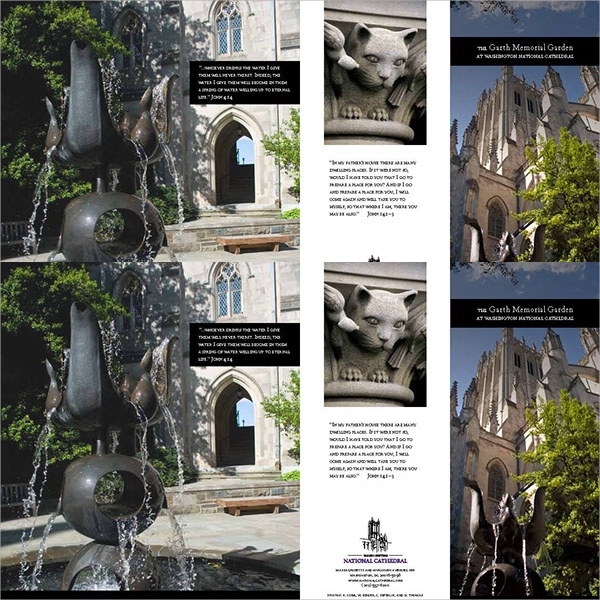 Add more information in small fragments over the front and back pages to evenly distribute and this one would look great. The picture holder space is oval in shape over the cool icy blue background, and this one looks very smart, special, and also has some nice text accommodating space inside. Customizing this is very swiftly possible, and you would get the brochure ready with all information and photo set in minutes. 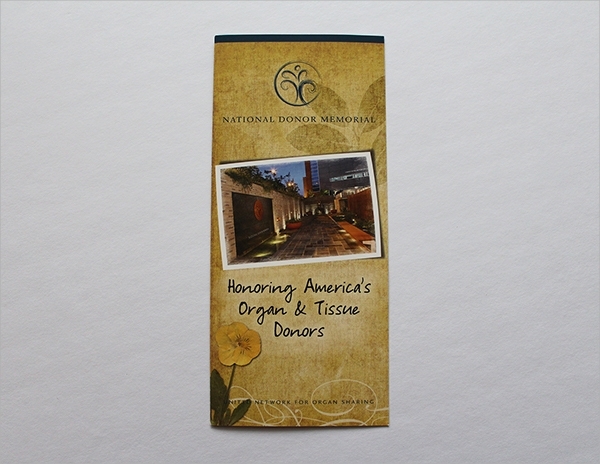 This 3 fold brochure is sleek and smart, and quite creatively designed with lots of color variations and designs. You can add pictures and texts, important information etc, and this one would look smart, sober yet interesting to look at. Customization is easy. 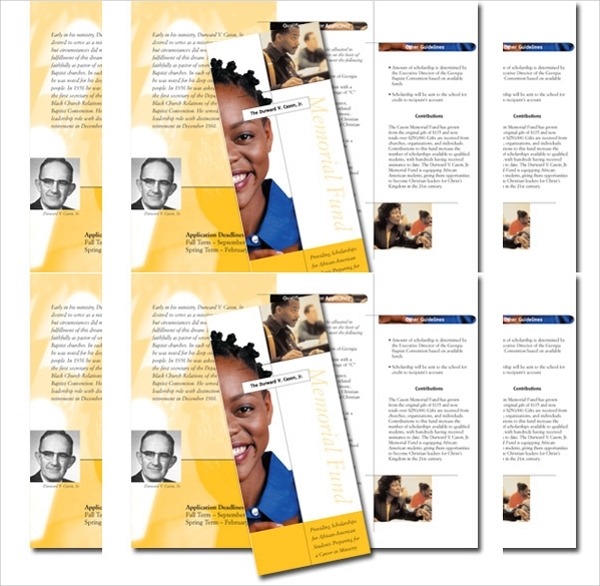 This 11×8.5 inch brochure design is really sober and is fully white background. 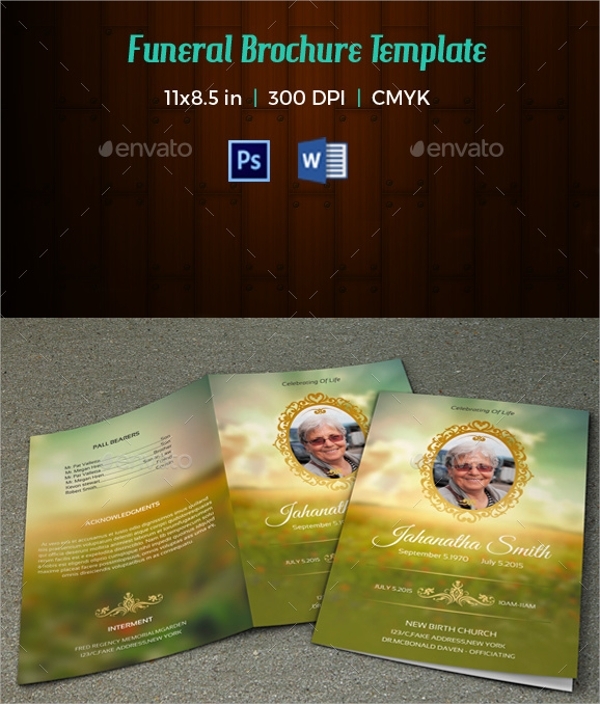 The square picture space in the middle of the front page is accentuated with a prominent border, and even the brochure area is bordered, thus creating prominence. 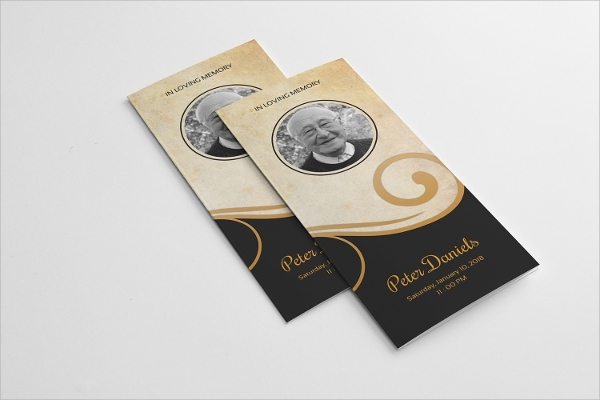 All of these designs are so formal, sober, simple, yet interesting that you can use any for the memorial brochure template designing for the person. 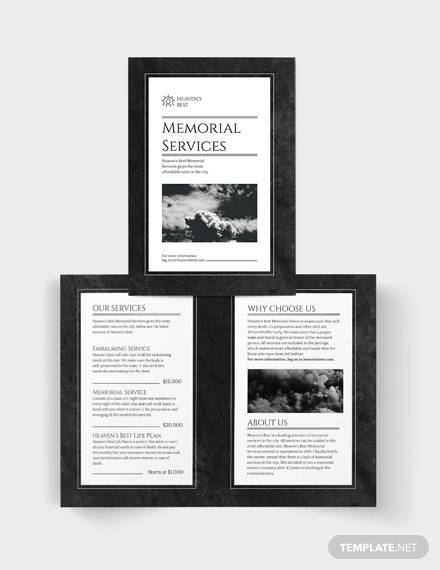 A funeral order of service demands you to get a memorial program ready systematically. 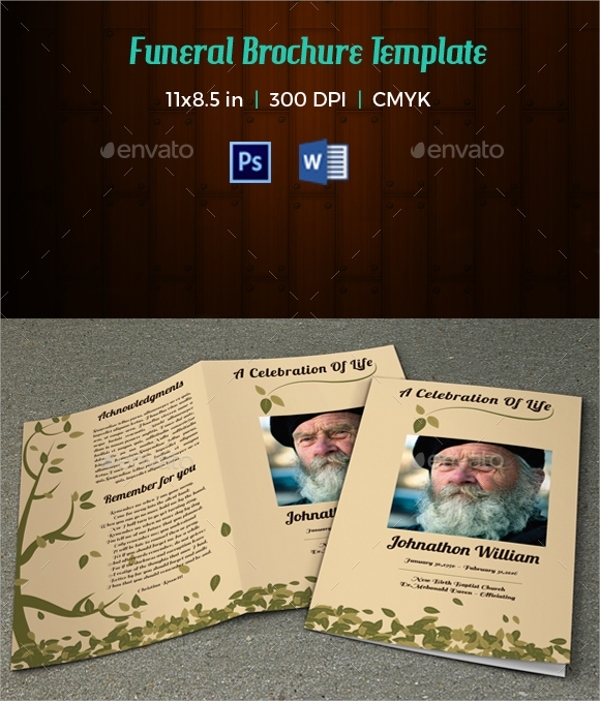 Thus the funeral program or obituary template is much needed.